Above Berry Brothers & Rudd, London’s most venerable wine merchants, were rooms leased by the Republic of Texas to act as their embassy, to the Court of St James, from 1836-1845.. When Texas joined the Union, in 1845, the Texan delegation departed the capital leaving an outstanding rent bill of £160. 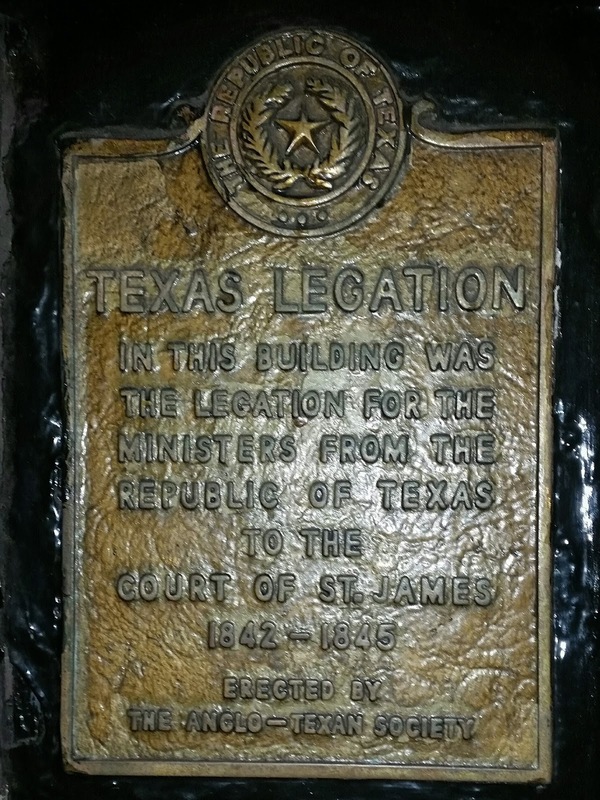 However, in 1986, 26 members of the Anglo-Texan society visited the wine shop to settle the outstanding rent bill, still owed by the Republic of Texas.